The London 2012 Olympics and Paralympics have been called “Britain’s largest peacetime logistical exercise” and when you look at the numbers you can certainly see why. There are expected to be over 11 million spectators to the games, and when you add in the number of extra people that the increase in tourism will bring, you can begin to see how getting around London during the Olympics could be a nightmare. Thankfully, bikers will be in a better position than other road users, but there are still some things to look out for. The sizable increase in people will also mean a large increase in the number of cars on the road, which is almost certainly going to lead to a lot of road congestion and traffic delays. The best solution to this problem is to take your motorbike or scooter and the extra traffic becomes far less of a problem. 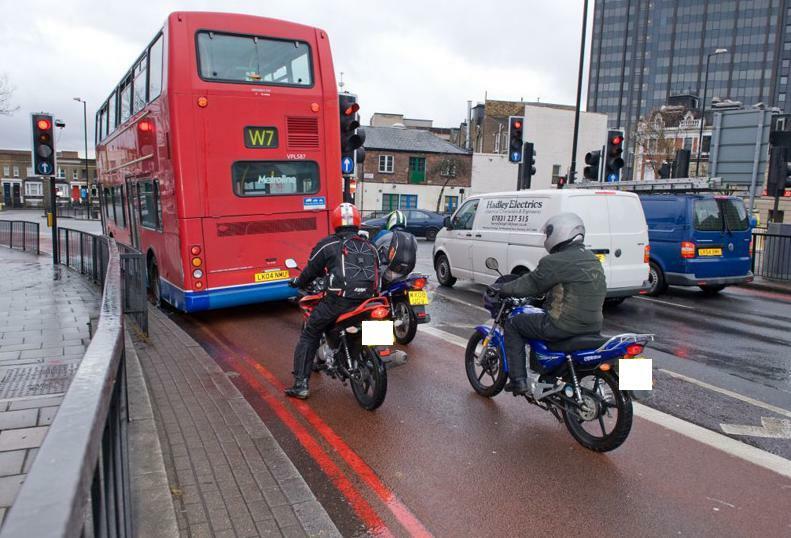 Research from Transport for London (TfL) shows that travelling by motorcycle cuts a third off your travel time (thank you, filtering). While car drivers are stuck in stop-start traffic and cursing one another, you’ll be able to zip around the city with relative ease. Don’t forget also that, as a biker, the congestion charge doesn’t apply to you, giving you a lot less anxiety and potential road rage than your four-wheeled counterparts. The Games themselves are set to run from the end of July to mid-August, but the Olympic venues are open from the end of June up until mid-September. That’s about three months of potential disruption, road closures and route changes. The Olympics Route Network (ORN) means that there are dedicated ‘Games lanes’ to allow athletes and officials to move between venues with ease. It is believed that about 30 per cent of London roads will be affected by these changes, including popular areas such as Hyde Park and Trafalgar Square. TfL have a dedicated page on their site where you can predict potential delays on your route at peak times. Even though travelling by motorbike is still the quickest method of getting around, it pays to figure out alternative routes that stay away from the Olympic hot-spots and to know when the peak times hit. This way, you can avoid the throng of spectators and tourists and shave even more off your journey times. Despite the benefits that taking to two wheels has during this busy period, bear in mind that a lot of other bikers will be having the same thought, so expect to see a lot more motorcyclists on the roads during the Games. The extra people will bring with it extra stress, so remember to be considerate to your fellow road users. This is especially true when it comes to filtering in traffic. There is some contention about the risks of filtering and a small percentage of car drivers aren’t keen on bikers doing so, so make sure you keep aware of obstructions and limit your speed when filtering. There will also be a large increase in pedestrian and cycle traffic as part of the ‘ride and ‘stride’ initiative during the Games, so be careful when driving through the more built up areas of London. Seeing as you’re in the city during the Olympics, take some time and enjoy the atmosphere that the event will bring. It’ll be a busy time, sure, but that doesn’t mean you can’t enjoy it. This guest post was written by Jamie Gibbs, the resident blogger for motorbike insurance comparison site, Confused.com with which UK France bikers.com has entered into a partnership agreement. Using my bike during the Olympics will be a no brainer. Whether you ride, bus or tube this new Olympic travel advice website from ‘Get Ahead of the Games’ indicates when certain areas are likely to be busier due to the Olympic timetable. Worth a look for any commuter or Olympic visitor!